Hand selected for earliness and size with blooms 2 ½” across in shades of blush pink, pure white, carmine red and pink with a deep pink eye. If it’s ‘the best’ you want then look no further. The perfect choice for cut flowers. 40-48”.HHA. 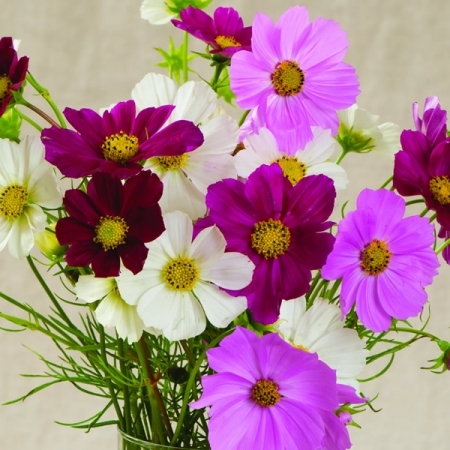 Cosmos, sometimes known as the Mexican aster, is perennial in its native home but it’s not hardy enough for our cooler climate and so in Britain it is grown as an annual. Cosmos is easy to grow from seed, performs well in containers or bedding schemes and comes in a dazzling array of colours, heights and flower types making it a firm favourite of both amateur and professional gardeners. 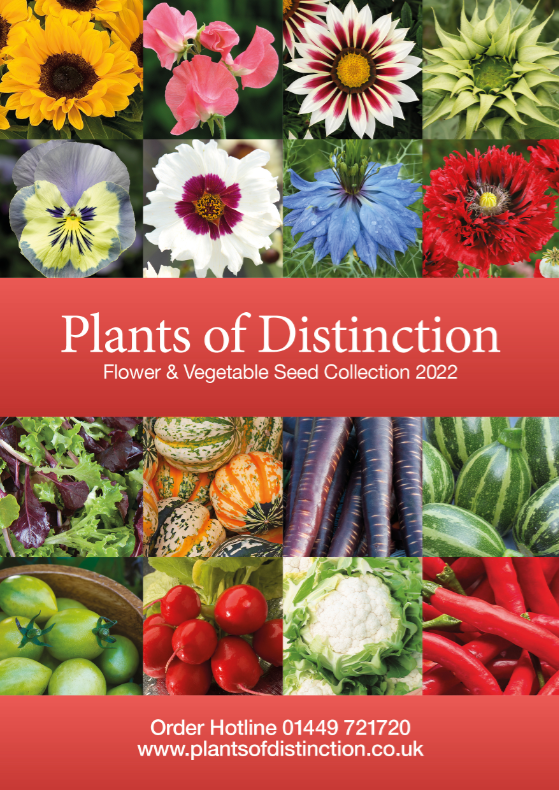 Drift or group planting produces an especially spectacular display and allows the plants to support one another too. 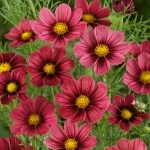 Taller varieties do benefit from a little support, try growing Cosmos between perennials, alternatively growing cages or canes are ideal. 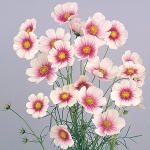 Sow Cosmos seed in trays or growing cells during early spring and cover with about 5mm of compost. The seeds are long and thin, so they can be easily handled. When the seedlings are about 4 inches tall pot them on into individual 3 inch pots to grow on until the risk of frost has past, then harden off before planting out in your garden. 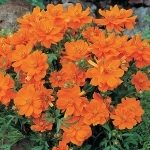 Plant Cosmos in full sun and water well, then add a mulch to help conserve moisture. Stake and tie Cosmos plants if necessary during the growing season, water regularly and dead-head to prolong the flowering season.